As you prepare your next big move, you’re going to have an opportunity to go through everything you own and decide whether you want to keep it or toss it. Moving into a new home is a terrific opportunity to get organized and start fresh. That begins with all the packing. It would be a good idea to begin your packing on the same day that you give notice. If you pack a few boxes each day then you will be really good shape on the final week. Your closets, drawers and cabinets you can create that “toss out” pile. The bigger that pile grows, the more you need to consider hiring Junk King Chicago. Junk King Chicago is the perfect decluttering partner. They’ll dispatch a team of expert movers to your home or apartment to do all the manual labor. That means you don’t have to consolidate your clutter. You can leave it literally in every room if you want and the Junk King crew will pick it up from the spot. That especially holds true with big pieces of furniture that want to get rid of. 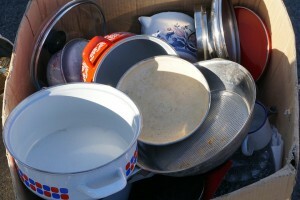 Yes, they can be considered clutter too especially if there to take up space in your new home. Everything he gets loaded onto the Junk King truck will be sorted back of the depot. This is where junk King will pull out all those items that could be donated or recycled. You might tag some of these pieces yourself but you be amazed at how much more could actually be repurposed. Many of the organizations that Junk King works with aren’t concerned with the condition of an item. They have people that can reupholster or repair. This should make you feel good about getting rid of a lot of things that might still be useful to someone else. Those drop-offs are part of junk Kings complete junk removal service. There is no extra charge. Your rate will always be based on how much room your stuff takes up on the back of the truck. The Junk King crew will be able to size that up with one look at all the stuff you want to get rid of. Getting rid of your unwanted clutter before you move into a new house is a perfect task for Junk King Chicago. Don’t bring that stuff with you! This entry was posted in Chicago Junk Removal and tagged clutter, Junk King, junk removal on October 31, 2017 by Junk King. Last updated October 31, 2017 .